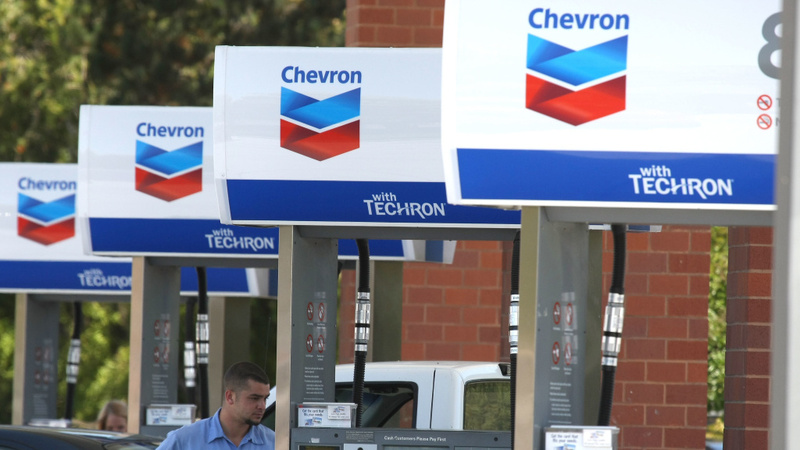 A Chevron customer looks on as he pumps gas into his car in 2009 in Greenbrae, Calif. Chevron is acquiring Anadarko Petroleum for $33 billion in cash and stock. Booming production in that region, powered by a revolution in technology that opened access to shale and other difficult-to-access formations, has turned the U.S. into an oil-exporting nation. Small and mid-size companies played a dominant role in the whirlwind expansion of Permian production.